The Greater Langley Chamber of Commerce U40 Leaders of Tomorrow are proud to present the U40 Lunch & Learn series featuring young, successful business leaders in their fields. We invite you to join us to hear first hand how these young business professionals became recognized for excellence in business, a leader in their fields, and a top young entrepreneurial talent. We supply lunch and our speakers provide some nuggets of wisdom. There will be time for networking and to get your burning questions answered! ABOUT OUR SPEAKER ... 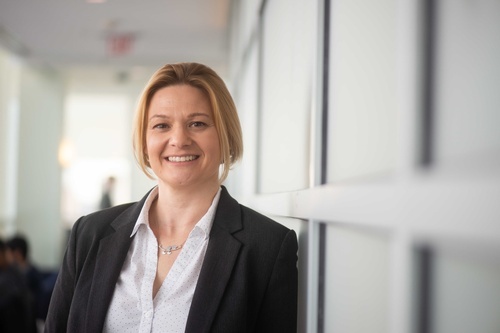 Recently named as one of BC Business's Most Influential Women in STEM and Business in Vancouver's Forty under 40, Bethany Edmunds is Associate Dean at Northeastern University, and the Technical Director of Leffler Software Services. She holds a Ph.D. in Computer Science with a specialization in Machine Learning and is passionate about using technology to improve life for individuals of all backgrounds and abilities. Greater Langley Chamber of Commerce Cancellation Policy: Event payment is due upon registration. No cancellations, refunds or credits after 12:00 pm on Wednesday May 8, 2019.